Letter from Margaret Sanger to Dr. C.J. Gamble, December 10, 1939. Copyright: Sanger family estate. For purposes of private study, scholarship, and research, you may print or download this content. Publication and/or broadcast in any form requires permission from the copyright holder (if any) and the Sophia Smith Collection. 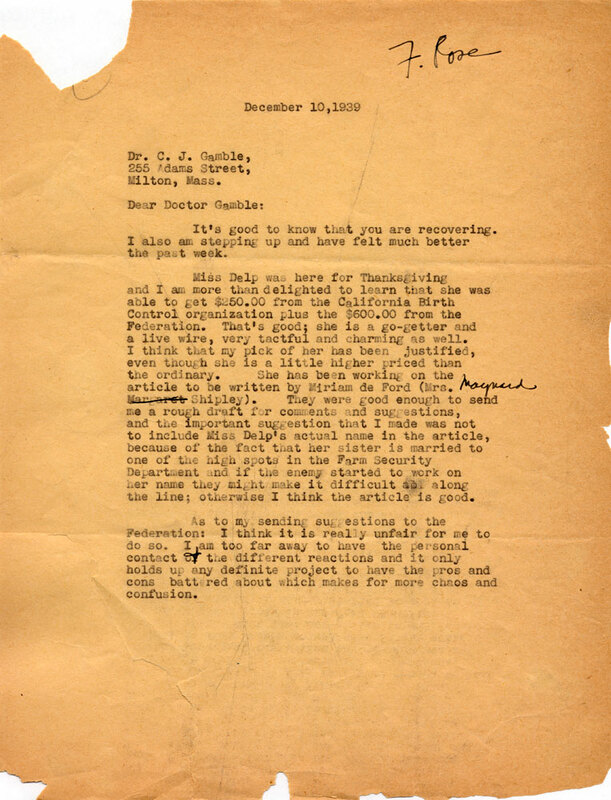 Sanger, Margaret, 1879-1966, “Letter from Margaret Sanger to Dr. C.J. Gamble, December 10, 1939.,” Smith Libraries Exhibits, accessed April 18, 2019, https://libex.smith.edu/omeka/items/show/495.